If you haven’t had a date lately, try this recipe, ha ha. You may just fall in love. With just a few great quality ingredients, it’s really quite simple and so delish. I hope you enjoy your date! Date rolls or logs have been around forever, at least the three ingredients for it have been. 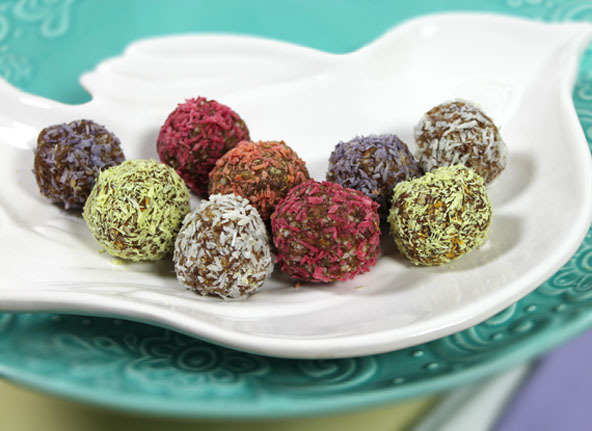 This is one of the most natural candy treats around. An even simpler treat is just taking a date and replacing the pit with a pecan or almond. But I find that a little too sweet for me and would rather take a few minutes and make this recipe which is very versatile. Be sure to read over the variations below and do what ever inspires you. Add the almonds and the dates into the food processor. Add more almonds or dates to make it the right stickiness. This will all depend on how moist or dry your dates are. You can roll it into logs and then roll it in shredded coconut. Can be stored in a tightly sealed container or plastic wrap in the fridge for 2-3 weeks. 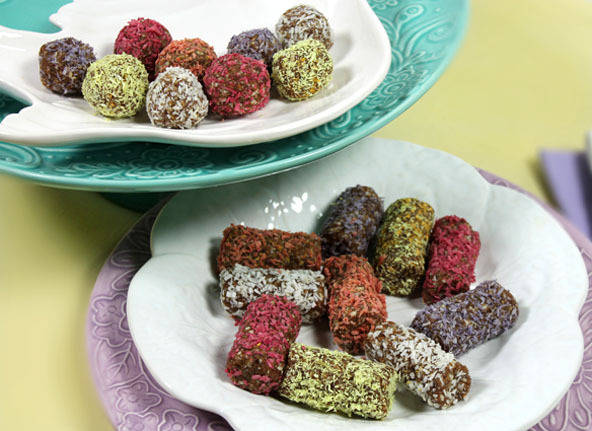 I used my Colorful Coconut Sprinkles that I had on hand to roll the date balls and rolls in. You can dip them in chocolate. 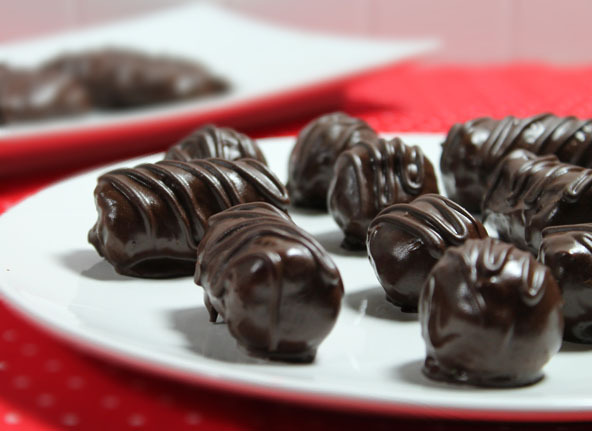 You can shape them into balls or just about any shape you want like a cube or candy bar. Consider using it in my “Love Ya Back” Candy recipe. 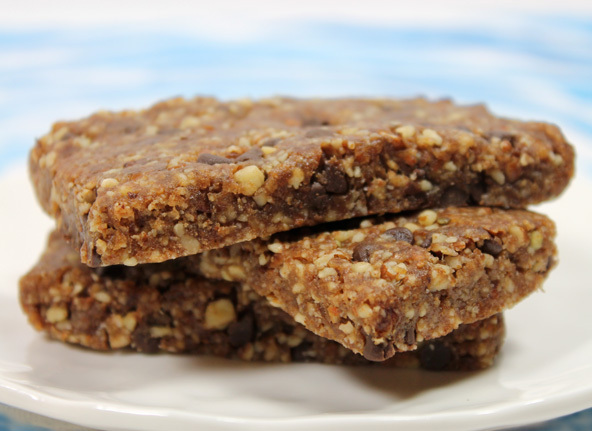 Check out my similar recipe for my “It’s A Sweet Life” Bar.